Given the speed at which information travels these days it is not surprising how quickly we forget hoaxes and humbugs. Every year people get their 15 minutes of fame by claiming to have seen ghosts, aliens, or fanciful creatures, but these far-out tales quickly fade away. This past summer, for instance, Matt Whitton, Rick Dyer, and "professional Bigfoot hunter" Tom Biscardi claimed to have in their possession the corpse of a Sasquatch. Media outlets, particularly FOX News, picked up the story and ran with it but it was quickly determined that it was all a hoax. The story held the public's attention for about a week and quickly faded away, but there have been more famous hoaxes that, while they are unfamiliar now, were widely known for decades after they were perpetrated. In October of 1869, on a farm not far from Cardiff, New York, Gideon Emmons and Henry Nicols dug into the loose soil to begin making a well. They did not get far before they struck something large, but they had no clue what it was until the soil fell back to reveal a gigantic human foot. The owner of the farm, William Newell, was brought out to oversee the dig and soon the team uncovered a super-sized human form. News quickly spread of this 10-foot-tall curiosity. More on the Cardiff Giant here. Additional entertaining giant hoaxes are noted here. And posts on another giant (Og) are collected here. These are the words of Philip Beale, leader of the Phoenicia Expedition which is recreating the first circumnavigation of Africa, believed to have taken place some 2500 years ago. However, Beale and his multi national crew are still on course to beat the original Phoenicians - Greek Historian Herodotus recorded that the original voyage took nearly three years to complete with mariners planting crops enroute and waiting for the harvests. The organisers of the Phoenicia Expedition have announced they will put a six month break in the voyage in order to meet the crucial 'weather windows' for rounding The Cape of Good Hope as well as getting out of the Gulf of Aden. In a 70 ft replica of a 600 BC wooden ship which was built in Syria, the crew have sailed to Yemen which is where the boat will stay for the next few months. Background here and keep following the links back. Expedition website here. CODEX PSEUDEPIGRAPHICUS VETERIS TESTAMENTI, edited by Johann Albert Fabricius in the early 1700s, is now available online for downloading in various formats. Alex Panayotov has placed it here, downloadable in two installments in PDF format. You can also find it at www.archive.com in DjVu, HTML, and PDF formats. And maybe one or two others, although the Full Text version doesn't seem to have come out properly - and it hung up my Firefox browser. This is the earliest scholarly collection of Old Testament pseudepigrapha. I have more on it and its editor here. Enjoy! A University of California archeologist has found evidence that sheds new light on the venerable question of whether King David and his son King Solomon controlled the copper industry in the Kingdom of Edom, which is present-day southern Jordan. The term "King Solomon's Mines" was made famous by a 19th century novel of the same name - although, until now, no such mines have been proven to exist during the time period mentioned in the Bible. Prof. Thomas Levy of UC San Diego, who reported the findings of an international team of archeologists he headed in an issue of The Proceedings of the National Academy of Sciences (US) late last year, is expected to reveal more on February 18 at a meeting of his university's Social Sciences Supper Club. JERUSALEM. After a 3,500-year history of invasions, the latest war on the beleaguered coastal strip of Gaza has once again put historic sites at risk. With the fragile ceasefire still in force, The Art Newspaper has learned that Gaza’s only museum has been damaged and other heritage sites and buildings may also be at risk. The Antiquities Museum of Gaza, privately founded and run by Gazan contractor and collector Jawdat Khoudary, was badly damaged during Israel’s 22 days of air and land strikes. The glass doors and windows have been shattered and the roof and walls have been damaged. Roman and Byzantine pottery, Islamic bronze objects and many amphorae have been destroyed, initially during shooting 20m to 200m away, and later because of nearby shelling, with one direct hit to the museum’s conference hall, Mr Khoudary said. Amphorae, clay and ceramic vessels with two looped handles, were created in Gaza and the region during the fourth to seventh centuries for storing wine, olive oil and food and trading perishable commodities. “I am very concerned: the entire Gaza Strip is an archaeological site,” said Palestinian archaeologist Professor Moain Sadeq, who founded the Palestinian Antiquities Department of Gaza in 1994, and is currently a visiting lecturer at the University of Toronto while in contact daily with Gaza. This museum was profiled recently by the New York Times. Sketches of different tattoos hang on a wall inside Shenanigans Tattoo Parlor located on Gay Street.Sketches of different tattoos hang on a wall inside Shenanigans Tattoo Parlor located on Gay Street. Tattoo art has gained significant attention during the past 10 years, and while it isn’t hanging in The Met, it is an art form. Nils Larson, a tattoo artist at Shenanigans Tattoo Parlor, describes the intricacies of tattooing. With tattoo art gaining popularity and prestige across America, many Auburn students are braving the needle for a variety of reasons. Brett Livesay, a senior in psychology, chose a piece with meaning. Fine, but tetelestai is Greek (John 19:30), not Aramaic. THE EISENBRAUNS ANE LOVE POETRY CONTEST is running again in 2009. Last year's contest was noted here and I posted a link to the winners here, but said link has now rotted. Sic transit gloria mundi. UPDATE: James Spinti e-mails to say that the contest website (with a link to last year's results) is here. One of the strengths of the book is that it highlights the importance of the so-called Philosophical collection, a set of Byzantine manuscripts containing philosophical texts, mostly related to the Neoplatonic tradition. It is an essential intermediary in the process of transmission of philosophical texts from Antiquity, so essential that, according to Richard Goulet, without it "we would only have kept from ancient philosophy a very small corpus of texts, maybe Aristotle's Organon, as is the case in several eastern traditions" (p. 54, translation is mine). This set of 17 Greek manuscripts which present similar codicological and palaeographical characteristics, comes from a copying centre which is considered to have been situated in Constantinople around 850. It comprises nothing less than: Plato's dialogues, the De anima, the De fato and Quaestiones of Alexander of Aphrodisias, the Didaskalikos of Alkinoos, the Dissertations of Maximus of Tyre, the treatises of Plotinus, the commentaries on the Republic and the Timaeus of Proclus, the commentary on the Parmenides and the treatise De primis principiis of Damascius, the commentaries on the Physics and the Categories by Simplicius, the commentaries on the Gorgias, the Phaedrus, and the Alcibiades by Olympiodorus, the treatise Contra Proclum de aeternitate mundi by John Philoponus, the commentary on the De interpretatione by Ammonius, the De caelo, the De generatione et corruptione, the History of animals, the Metaphysics, the Meteorology and the Physics of Aristotle, as well as Patristic texts and geographical and astrological writings. The "Platonic" nucleus of the Philosophical collection is probably made up of copies of remnants of the library of the philosophical school of Alexandria which had been brought from Alexandria to Constantinople at a date impossible to state precisely, but probably falling between the beginning of the seventh century and the beginning of the ninth century, as has been suggested by L. G. Westerink. Henri Dominique Saffrey proposes, in an insightful essay, a study of one of the manuscripts of the Philosophical collection, the Parisinus graecus 1807 which contains among other things tetralogies VIII (Clitophon, Republic, Timaeus, Critias) and IX (Minos, Laws, Epinomis, Letters) of Plato, with the Definitions and the Spuria. It is the manuscript A for Plato, made around 850, the model of which went from Alexandria to Byzantium, and which travelled from Byzantium to Armenia, and then to the library of Francesco Petrarca. Guglielmo Cavallo, Philippe Hoffman and Didier Marcotte provide remarks which complete this study of the Philosophical collection. The textual tradition of Syrianus' commentary on the Metaphysics and the influence of Neoplatonists on Byzantine thought are also studied. The second part of the book contains studies on the dissemination of Neoplatonic texts in the Syriac-speaking and Arabic-speaking areas. Henri Hugonnard-Roche provides a useful synthesis article on Syriac philosophical literature in the sixth and seventh centuries. As to the Arabic tradition, the influence of Neoplatonism during the Abbasid period, in particular on al-Kindi (P. Adamson, G. Endress), the presence of Proclus, and the proximity between sixth-century Alexandrian commentators and the Baghdad Aristotelian Ibn al-Tayyib are considered. 16. Many Christians of this period--amongst them sectaries who had abandoned the old philosophy, men of the schools of Adelphius and Aquilinus--had possessed themselves of works by Alexander of Libya, by Philocomus, by Demostratus, and by Lydus, and exhibited also Revelations [i.e., apocalypses - JRD] bearing the names of Zoroaster, Zostrianus, Nicotheus, Allogenes, Mesus, and others of that order. Thus they fooled many, themselves fooled first; Plato, according to them, had failed to penetrate into the depth of Intellectual Being. Plotinus fequently attacked their position at the Conferences and finally wrote the treatise which I have headed Against the Gnostics: he left to us of the circle the task of examining what he himself passed over. Amelius proceeded as far as a fortieth treatise in refutation of the book of Zostrianus: I myself have shown on many counts that the Zoroastrian volume is spurious and modern, concocted by the sectaries in order to pretend that the doctrines they had embraced were those of the ancient sage. UPDATE: Note also that Messos (Mesus?) is the recipient of the revelation in Allogenes and that the Zostrianos closes with the line "Teaching of Zoroaster" (as pointed out by the editors [Wire and Wintermute] of Allogenes in the Robinson translation of the Nag Hammadi Library). So it may be that Porphyry got all four names from just these two works. Wire and Wintermute also report that Allogenes can be a designation for the biblical patriarch Seth, who was important for the Sethian Gnostic movement. ScienceDaily (Jan. 27, 2009) — One thousand three hundred year old Chanukah money in Jerusalem: a hoard of more than 250 gold coins was exposed December 11 in the excavations the Israel Antiquities Authority is conducting in the Giv ‘ati car park in the City of David, in the Walls Around Jerusalem National Park. The excavations at the site are being carried out on behalf of the Israel Antiquities Authority, in cooperation with the Nature and Parks Authority and are underwritten by the ‘Ir David Foundation. I can't see anything new in the article, but it's a pretty good summary of past coverage. Background here. Finds from the same excavation are noted here (immediately preceding post below). The figurine was used as a suspended weight together with a balance scale. This is probably the only find of its kind from excavations in the country. A figurine (bust) made of marble depicting a miniature image of a bearded man’s head was discovered in the excavations that the Israel Antiquities Authority is conducting in the area of the Givati car park in the City of David, in the Walls around Jerusalem National Park. An ancient earring and a Byzantine-era gold coin hoard were discovered recently at the same site. HERE'S A NEWS VIDEO on YouTube covering the discovery of the Kirbet Qeiyafa inscription and making rather more politically of it than I would. There are numerous shots of the ostracon, although the letters are usually not visible. I kept wanting to tell Professor Garfinkel to put it down before he dropped it! Heads up, Maggid. Background here (and follow the links back) and here. THE KUTTAMUWA STELE from Zincirli is noted in a nice summary blog post on K. Kris Hirst's Archaeology Blog. There is some debate about whether eighth-century Sam'alian is Aramaic or something less readily classifiable. Peter Bekins has a summary of the issues at Balshanut. For more background on the Kuttamuwa inscription, go here and keep following the links back. It was 250 years ago this month that the British Museum first opened its doors to the public. When you visit the museum today, you visit somewhere that is like no other collection, no other building on earth. It is the only place where you can, in every sense, walk through the world, and through time, and look at the whole range of what humans have made and speculate as to what they have thought. More on Neil MacGregor and the British Museum here. TIMBUKTU, Mali, Jan 24 (Reuters) - South Africa and Mali opened a high-tech library in the Malian desert town of Timbuktu on Saturday, boosting efforts to preserve thousands of ancient manuscripts documenting Africa's academic past. The launch is part of a South African plan to help Mali to protect up to 150,000 manuscripts, some of which date from the 13th century and document subjects ranging from science and the arts to social and business trends of the day. South Africa has also been training Malian conservators to protect the texts, which some say will force the West to accept Africa has an intellectual history as old as its own. 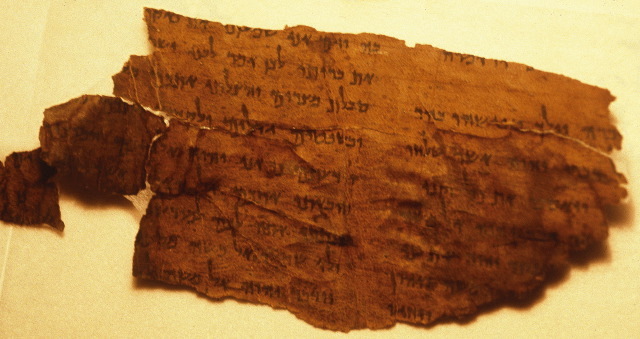 Others draw comparisons with the discovery of the Dead Sea Scrolls. Background here and keep following the links back. For why I think this is interesting see here and here.